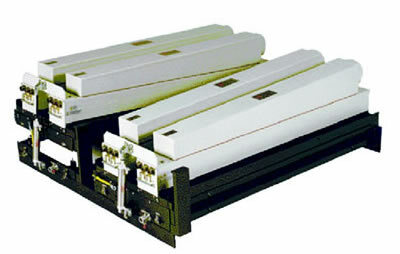 The UVXL® Shuttered UV Curing System, from Aetek UV Systems, is the universal curing system for 34” to 100” substrates. This industry standard has been curing UV inks, coatings and adhesives at all production speeds, in numerous industries, and for a wide range of applications, including metal decorating, wide web flexography, web offset, rotogravure, rotary screen, screen printing, and industrial and 3D applications. To learn more about the UVXL Shuttered UV Curing System, including technical specifications, please visit our technical library where you can download and print literature. Click here to learn more about how the UVXL can save you money and improve our world.